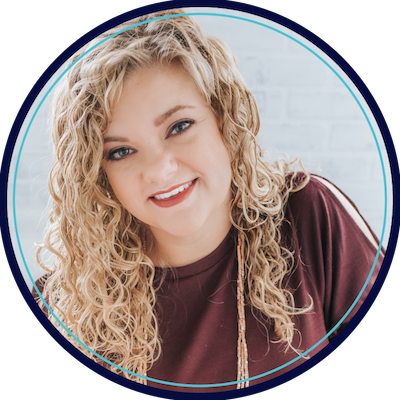 It’s October, if you started the year with cohesive therapy groups, I bet you’re already throwing kids into mixed groups as they are added to your caseload. Since we often don’t have a choice but to group students, we need to find therapy materials that will work for mixed groups. Books are one of my favorite ways to do that! First of all, you can never read too many books to your students. 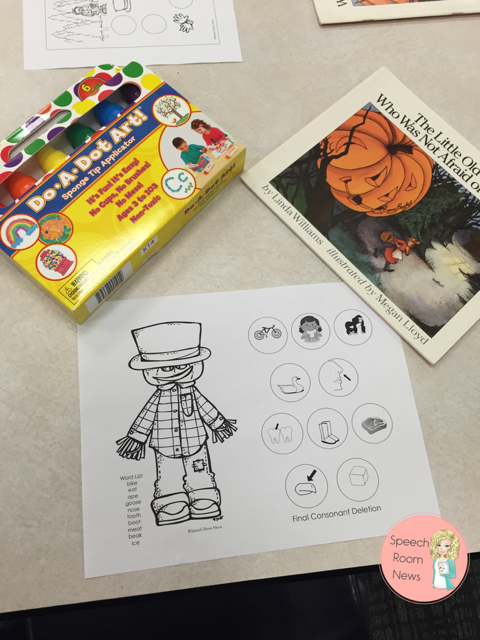 Second, they can be seasonal or highlight a specific topic (like social skills). Third, you can never read too many books to your students (It was worth repeating!!!!). Fourth, you can use it to target mixed groups by using a central theme and vocabulary. The key to using a book for therapy is to do a little planning. 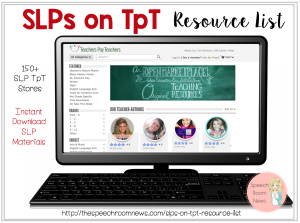 I know you might not feel like you have time, but 20 minutes downloading materials from Pinterest or Teachers Pay Teachers could solve your therapy or every group you see! One of my favorite books for this time of year is The Little Old Lady Who Was Not Afraid of Anything, by Linda Williams. I was a teacher garage sale a few summers ago and grabbed all 6 copies for two bucks! I love to be able to give each student a book to hold and ‘read’ along with me. Plus they can each use it to go back and look for clues later. This is the set up for mixed groups of 4/5 year olds. They each get a book and a paint dauber. 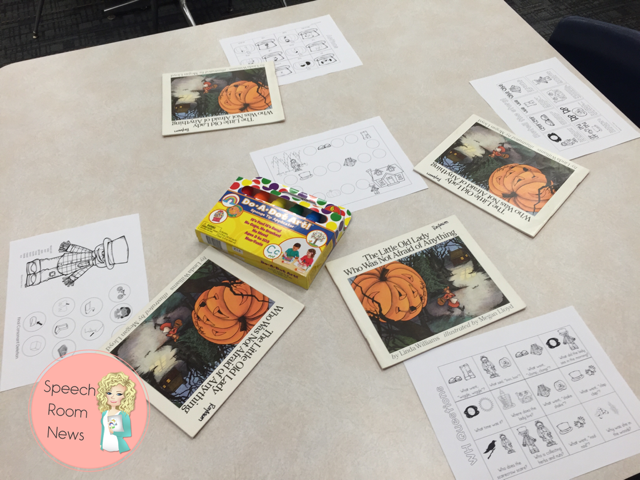 I’ll have them each working on a different activity and then we will play a group game at the end to target vocabulary. I typically move around the circle letting each child take 3-4 turns before moving to the next person. 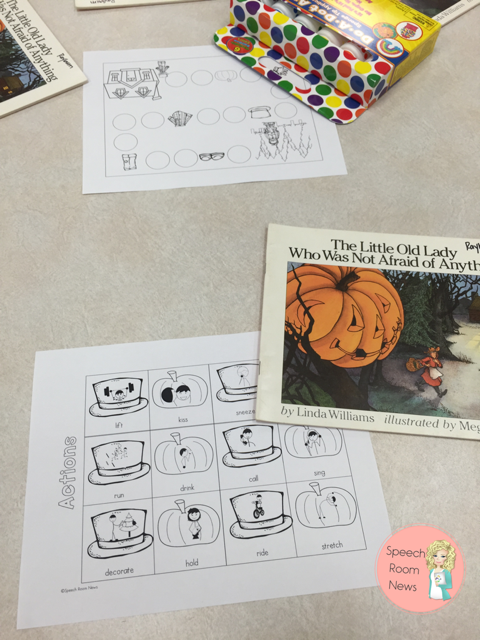 The activities this group was working on included Final Consonant Deletion, Story Retell, WH questions, and verb +ing. That’s a LOT for the group so I just worked on two skills at a time and let the students help each other. If you’re interested, you can grab the Print and Go Dot Art Companion for The Little Old Lady Who Wasn’t Afraid of Anything in my TpT Shop here. So tell me, how do you do therapy for mixed groups? Great idea to use with this book. This is one of my favorite books for this time of year, too. I have a box of props that the students use to do a Reader’s Theater- two gloves, a hat, two big shoes, etc. Thanks for sharing! Hi Jenna, I have this packet, and this is one of my favorite stories too! I agree that stories can lend themselves to mixed group work easily. I’m finding that I’m doing more of this now and looking for books/plans to use. 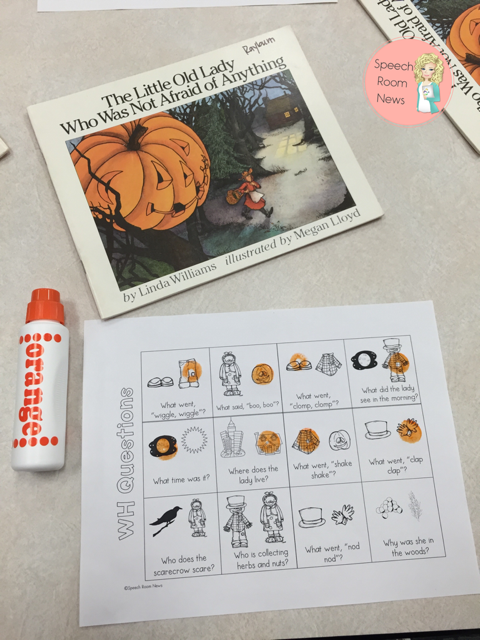 I just bought a TPT packet around using Big Pumpkin and did retelling with “puppets,” targeted sent. 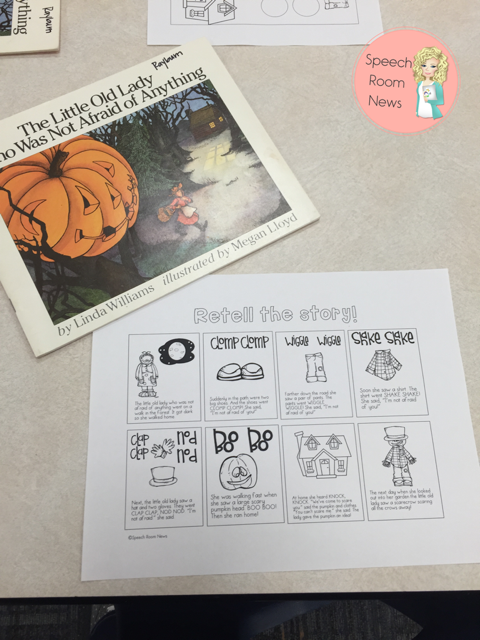 structure through retelling, wh-questions, vocabulary. Could probably do some artic. in there too. Thanks for sharing! I love this and have been trying to make lesson plans for specific books to do this in therapy. 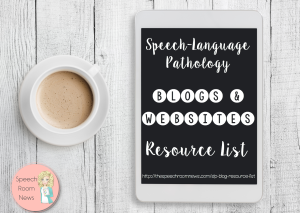 Do you know of any good resources that already have lesson plans/materials for books? Thanks for sharing. I love your materials and have several. I also appreciate getting things from you ahead of the season. Gives me time to prepare and gather materials. I like having a jump on things with this book. Thanks!